Not long ago, LA Fashion Week looked pretty different than it does today. Mercedes Benz was here, as were people like Box 8 and others that have moved on to other locations. Today the scene has been largely filled by good people such as LA Fashion Weekend, Project Ethos, Concept at ACE Gallery, Style Fashion Week and the California Market Center, among others. 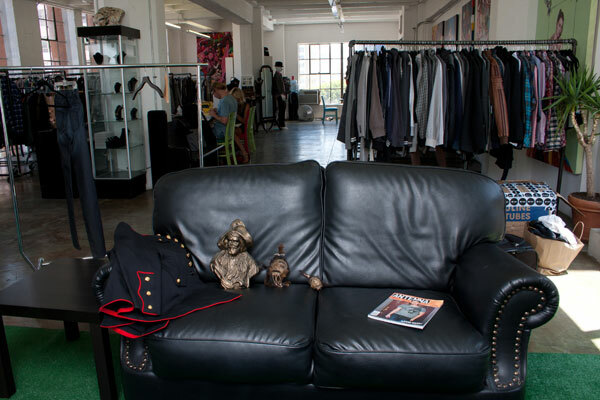 One thing’s for certain: LA continues to thrive due to the enormous presence of fashion showrooms, many of them located in the LA Fashion District. Places like The New Mart , Cooper Design Space and the the Gerry Building and Cal Mart (California Market Center) occupy an area known informally as “The Intersection” (being located at the intersection of 9th and Los Angeles street in downtown LA’s fashion district). It’s actually quite a dizzying number. What does this mean for the future of LA Fashion Week? It means quite a lot. The question has always been simply how to tap into the enormous fashion of Los Angeles. Thanks to people like those mentioned in the opening paragraph, the uniquely exciting journey of LA Fashion Week continues.